This chapter examines sexual assault from the point of view of a survivor, indicating that its consequences extend beyond the emotional or physical. Philosophical issues are raised by this experience, such as its effects on personal identity, notions of “harm“, the role of denial, victim blaming, as well as its political implications for gender equality. 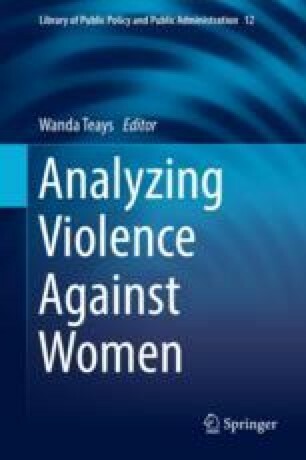 Given the significance of these concerns and the extent of sexual assaults, it is imperative the harms of violence against women be taken more seriously by philosophers. This chapter is reprinted (with minor changes) by permission of Wiley.com and the Journal of Social Philosophy, where it appeared in vol. 24, no. 1, Spring 1993 (pp. 5–22). I would like to thank the North American Society for Social Philosophy for inviting me to give the substance of it as a plenary address at the Eighth International Social Philosophy Conference, Davidson College, August 1, 1992. I am also grateful to the Franklin J. Matchette Foundation for sponsoring the talk. This essay was written just 2 years after I had been raped and it would be different in many ways were I to write it now. But I have left it in its original form (except for a few minor stylistic revisions) in order to convey my perspective soon after the event.